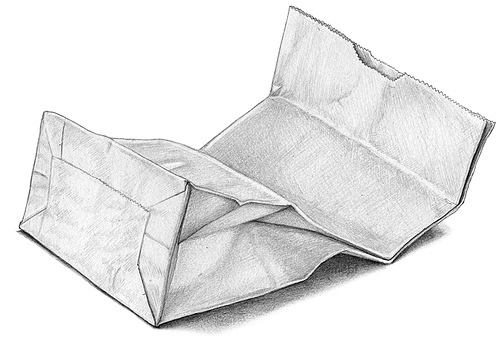 Crumple a paper bag. 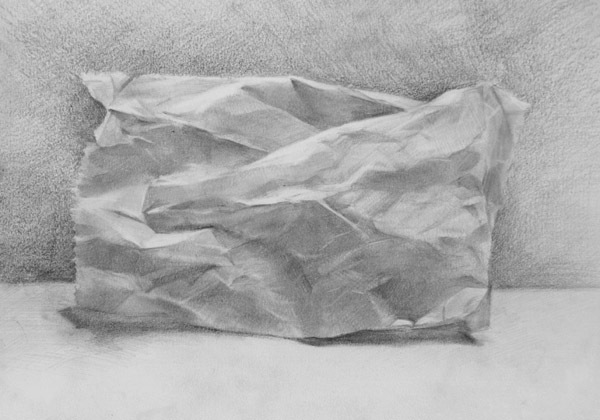 Draw it, paying attention both to its value and texture and to how it works on the page as a design. 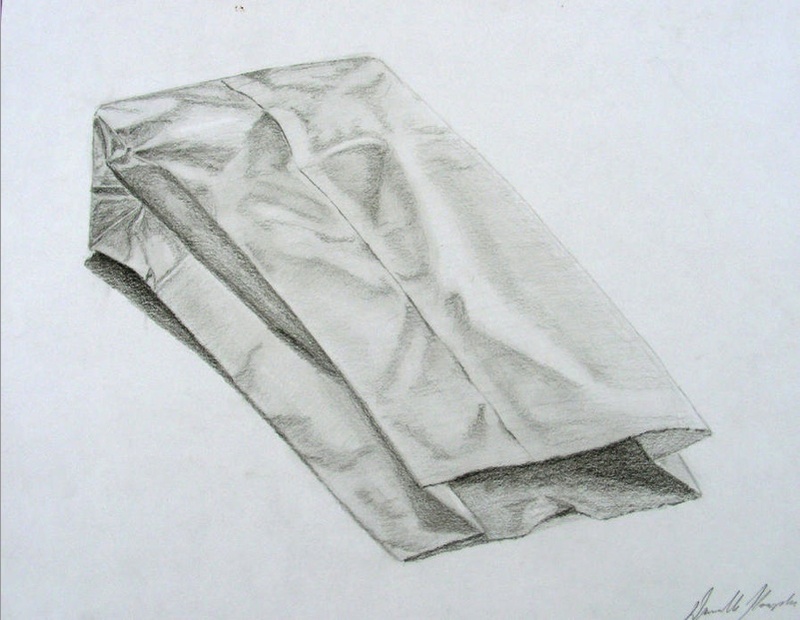 Drawing pad paper 14 x 17 in. This is basically a drawing problem, but a good drawing should be composed as carefully as any other design. It also gives you a chance to experiment with representing hard and soft edges and subtle visual variations in an object whose underlying texture is everywhere the same. You will not need to give very many visual clues to get viewers to respond to overall texture. Once you give an indication of a texture, it is very easy for observers to see it everywhere. 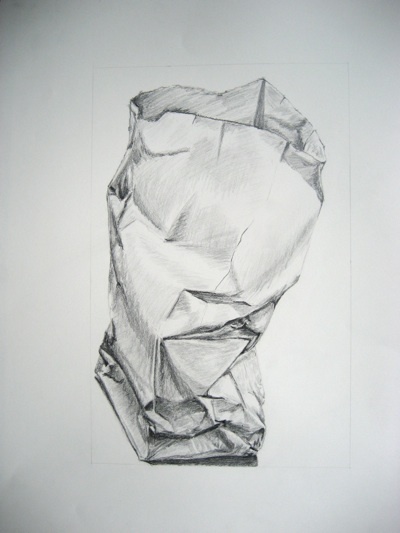 There is no one-way to represent the texture of a crumpled bag. You may draw a line of contour or create a line by values meeting to form an edge. You might put down darks and use erasure to establish your texture. Use value to suggest mass as well as light. 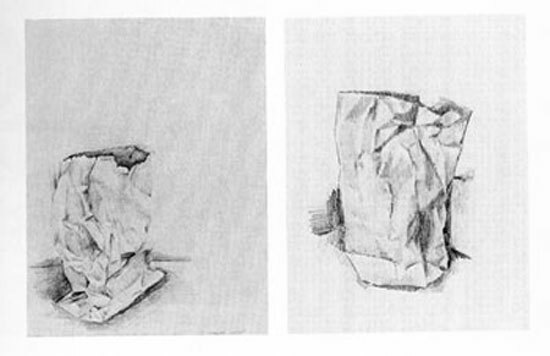 Optically we experience the modeling of the paper bag's form as if it could be touched. 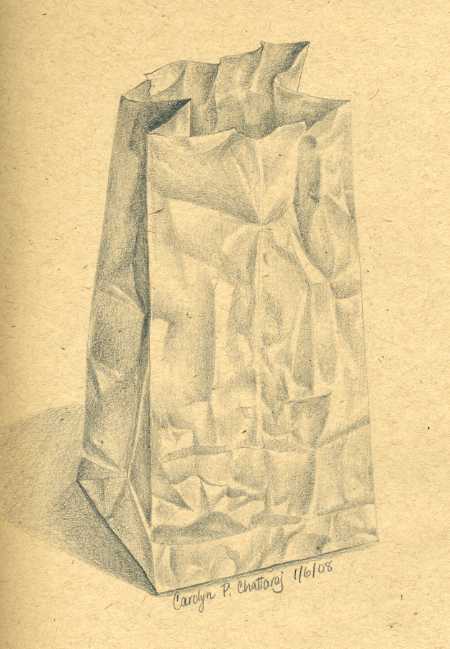 Dark and light patterns over the paper bag represent advancing and receding surfaces rather than light and shadows. Changes in value signify physical changes in the surface terrain and equate to tactile experience rather than to the illuminating quality of light.